Celebrating the arrival of colder days (finally!) with some exciting new pieces that have recently found their way into my wardrobe. This dress is an oldie from the Stolen Girlfriends Club x Urban Outfitter collab last year; I picked it up at their sample sale back in March. Unfortunately, it did shrink a bit in the wash, so tights is now a must when wearing this little number (I've also worn it as a top; hooray for versatile pieces!). These Therapy boots were birthday present to myself, and I just know these are going to be on high rotation in my wardrobe this season. I'm loving the ankle cut away, and the low heel makes them too comfortable. 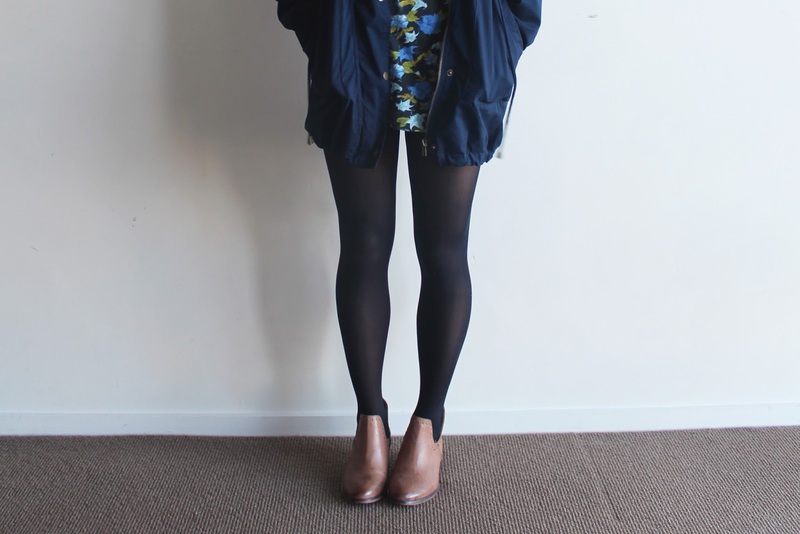 Finally, I found the parka I've been searching for my whole life at good old Glassons the other week. 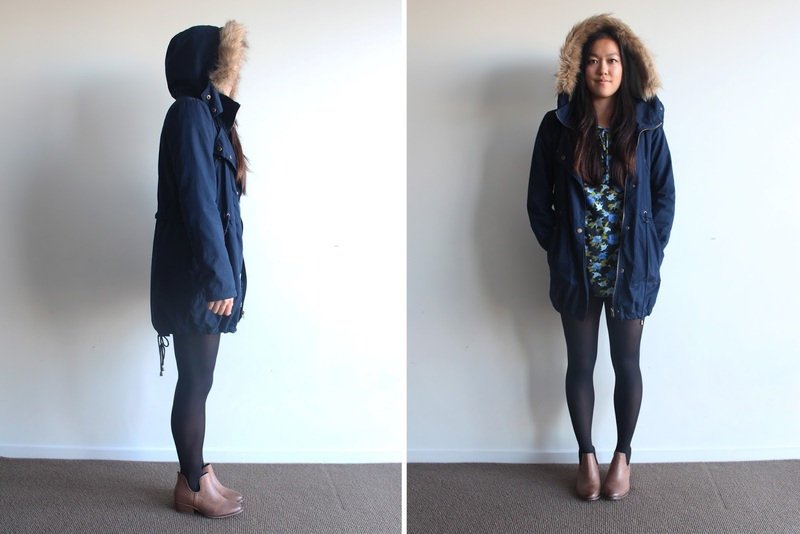 Navy in colour, draw string waist, big pockets and a super fluffy hood (detachable too; the hood and the fluff). Can't wait for the windy weather to not stand a chance. 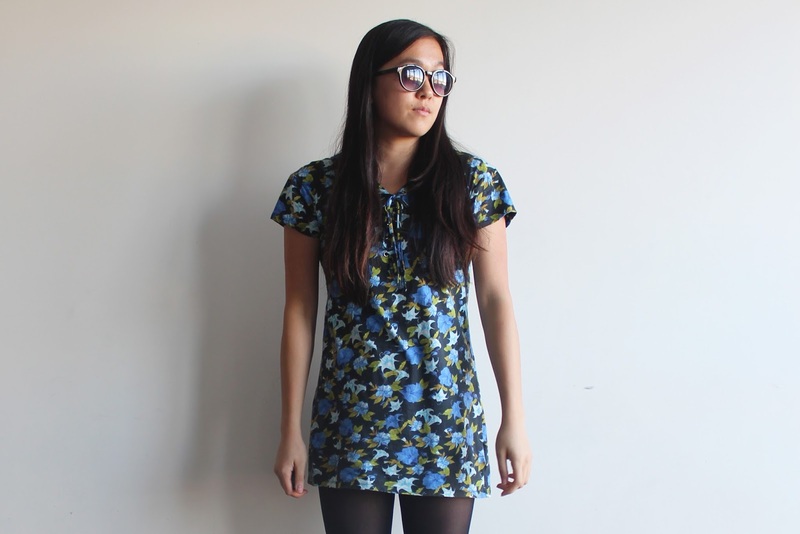 Love those sunnies and that gorgeous print on your dress! You styled it so well with those boots!